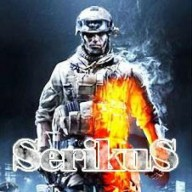 Discussion in 'Groups & Dedicated Servers' started by Mr.SerikuS, Feb 8, 2019. Hi guys, few days ago i had bad experience with this official game hosting. We with friends desided to rent server, to have possibility to play at any time and chosen Gamerzfactory . It is Herman renter, so we thought there will be all ok, as all german - stable and quality. But no. The only stable in this situation was only payment. Server isnt working for 3rd day, no guides, i wrote to support both in ticket and email, and no reply..
0/10 I dont know why it is off game server renter.. Be aware! Sorry to hear you are having the issue. Hopefully they will give you a refund or get it working like it should.